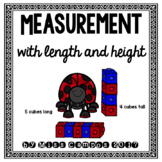 Inch Worms: A Measurement Center Freebie! 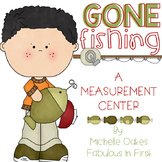 This super fantastic fishing center will get your little ones measuring away. In this center they will use one inch fish tiles to measure fishing poles that range from 1 to 7 inches. 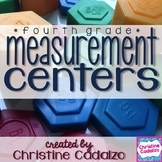 This center also comes complete with recording sheet, questions about their measurements and a graphing activity. Students will use paper clips and cubes to measure a variety of monsters. This is great practice for non-standard measurement. Print, laminate, and cut the cards out. 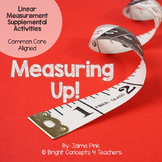 Give students unifix cubes to measure the length/ height of each item. Students can then record their answers. Laminate or put in a sheet protector, and have students use dry erase markers to save copies! Graphics by Scrappin Doodles. This is a fun and easy prep center. 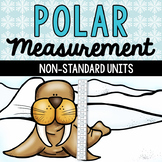 Students will LOVE using their Mustache Ruler to measure the colorful mustaches. It is seriously too cute! Come on by my blog for more freebies and a peek into my classroom!